Mobility can be a huge problem for obese people and often a wheelchair is one of the routes people take. But like anything us larger people sit on, we have to be careful that the wheelchair can actually hold our body weight. 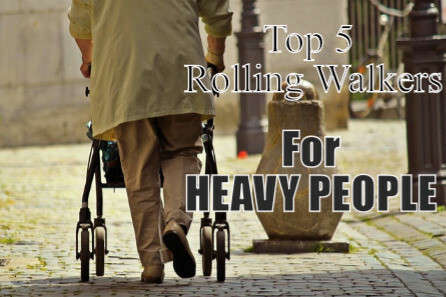 The wheelchairs for heavy people listed below have been hand picked to accommodate such high weights. However, its worth noting that there are different types of wheelchairs available for heavy people which will be determined by your physique and lifestyle. For example, some folks may need a wheelchair for recovery from surgery whereas someone that is morbidly obese as a result of spinal cord injury may require a bariatric wheelchair or rehab chair on a daily basis to cater to the higher weight of the person and the medical condition. For some, a custom built wheelchair is the only option and is quite a common practice whether you are obese or not. Someone may be very heavier, but not necessarily require an oversized wheelchair, the weight may be more on the front than on their sides. So a custom build may be ideal for them. 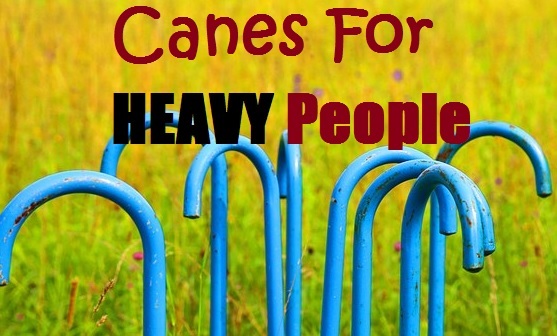 But for many heavy people, there are big and tall wheelchairs and oversized wheelchairs with high weight capacities that will do the trick. 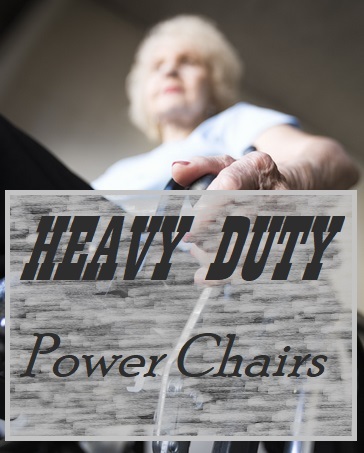 Besides the comfort and ergonomic features a chair can offer, the heavier person needs to consider the weight bearing limit, width, depth and height of the seat to feel safer while sitting in a wheelchair. The Sentra by Drive Medical is the ideal wheelchair for the big and tall people. The heavy duty rating this wheelchair allows people up to 500 pounds able to safely use this wheelchair. While a high weight capacity can easily be claimed, what makes the Sentra stand out from the crowd is how far Drive Medical went with reinforcing this wheelchair. The reinforced dual crossbars give the center foundation extra support while the side carbon steel frame has also been reinforced. Even the casters, gussets and the upholstery have been given the heavy duty wheelchair rating. So its certainly a chair designed to hold a lot of weight, but what about the dimensions of the chair, is it really big enough for the big and tall people. The Sentra wheelchair has the dimensions to suit many big and tall people. While its not the widest wheelchair on this list, the 24 inch wide seat is certainly sufficient for many heavy people. For the taller people, the seat depth is 18 inches, while not huge, is a deeper than many others on the market. However it’s the 17.5″-19.5″ seat height that makes it better suited to the big and tall people. The taller seat makes getting in and out of the wheelchair a little less painful for both the patient and the carer. While the Sentra by Drive Medical is certainly a heavy duty option, this in fact does come with drawbacks worth considering. Because this wheelchair has been reinforced for higher weight patients, the extra steel reinforcements make the chair considerably heavier. At about 60 pounds, this chair will be a two person job for transporting. However this does reinforce that fact the chair is so heavy duty and built to last. The last consideration is the overall width of the wheelchair. Having a large seat of 24 inches means the chair itself is going to be wider. 32.5 inches to be precise. So unless you have 36 inch doorways, this wheelchair may not squeeze through standard 32 inch doorways. Drive Medical also have this Sentra EC extra wide wheelchair. This is the wheelchair for obese people that find most chairs simply too small. With a huge 30 inch wide seat, this wheelchair makes other options look tiny. However this extra wide seat means the wheelchair is going to be extra wide as well. Coming in at 39 inches wide, this wheelchair won’t fit through most door frames around the home. So it’s very important to understand this before you go out and buy one. Like the above Sentra wheelchair, this EC extra wide model has been reinforced to the maximum. Giving this wheelchair a high weight capacity of 700 lbs. Overall its just a wider and stronger version of the above Sentra. Coming down to a 350 pound weight capacity wheelchair, this Medline premium is a great option for bigger people that don’t want the burden of a heavy wheelchair. Weighing just over half the weight of the Drive Medical Sentra, this Medline K4 comes in at 31.5 pounds with the leg rests removed. The lightweight feature of this wheelchair makes it more appealing for people that want to get out of the home and travel with the comfort knowing their mobility can come with them. Easier to fold and easier to pack in the car compared to a heavier 60 pound wheelchair. While certainly not the highest weight capacity wheelchair on the market, the 350 pound rating is still quite sufficient of overweight and obese people. However it is important to remember that while in a wheelchair, it is easier to gain weight due to less physical activity. So don’t risk buying this wheelchair if you weight 325 pounds for example. Allow some wiggle room for getting bigger. For a 350 lb chair, the seat is quite large. The Medline K4 has a seat width of 22 inches and a depth of 18 inches. The seat height can also be adjusted by 2 inches up or down using the hemi height axles. In general the adjustment options on the K4 are quite good, especially when you compare it to some of the hospital wheelchairs out there. Overall the Medline K4 oversized wheelchair is a solid buy. It has the capacity to handle bigger people while being lightweight. Folding it down is as simple as removing the leg supports by swinging them to the side and then folding the wheelchair down. If a simple heavy duty solid and low maintenance wheelchair is what you’re after, this Invacare Tracer might fit the bill. A mid range wheelchair that in my opinion is comparable with the more expensive versions out there. Boasting a 450 pound weight capacity the Invacare Tracer is built strong and tough to handle heavy duty conditions. Much like the Drive Medical Sentra, the Tracer also has dual cross bars for extra support. Along with the gussets and casters being reinforced to handle the higher weights. But again, because this is a heavy duty wheelchair, it weighs around 50 pounds. So transporting a heavy wheelchair like this may be more difficult than you imagine. It doesn’t have a seat belt but it does fold down if you do plan on transporting the wheelchair. The seat measures 22 inches between the arms and has a depth of 18 inches. So quite wide for larger people with a pretty standard 18 inch depth. This depth makes sitting in the wheelchair behind a desk easier but at the same time can be too short for very large people. So its important that you consider whether the 18 inch depth will be enough for you. The seat height also has the dual height axle for raising or lowering the seat. Assembly is pretty much done for you bar the footrests. So if you need a simple yet reliable sturdy and wide wheelchair, the Invacare is a good option. 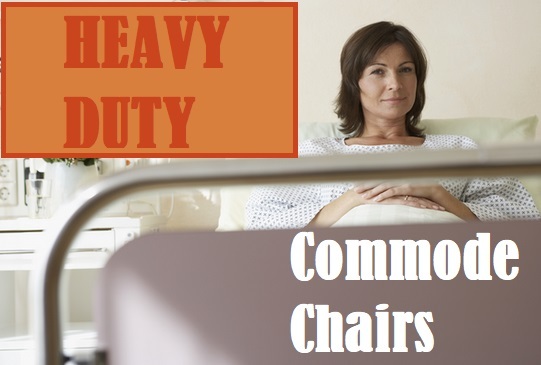 While a little heavy, it’s not as bad compared to similar chairs of this high weight capacity. While many people prefer a mobility scooter over a powered wheelchair simply because they look cooler, an electric wheelchair can be of greater benefit in comparison. Especially if you have posture concerns as wheelchair offers greater support and features such as tilt and recline to aid people with posture problems. The Forcemech Navigator XL offers a great bariatric wheelchair powered by two Super Lithum-ion LiFePO4 batterie and brushless motor which can go at a top speed of 5mph. Whats great about this electric wheelchair is that it doesn’t look ‘daggy’ and is quite visually appealing. With a maximum weight capacity of 400 pounds, the Forcemech is one of the better choice for heavy people. Its looks stunning and is well supportive compared to some mobility scooters. The seat size is not the hugest measuring 19 inches wide with a depth of 17 inches. This is concerning for very large people, but for the general obese person, 19 inches in width is sufficient. Whats quite surprising is just how light this wheelchair is, considering its got a motor it only weighs 56 pounds. This however is without the battery weight included. While an electric wheelchair is going to set you back a fair bit extra money, the possiblities it creates far outweighs the investment. The Forcemech Navigator can handle some tough terrains meaning you can now be mobile just about anywhere. Best of all, it’s even air travel approved while being foldable and easy enough to fit into most car boots. Being obese and or being in a wheelchair can both be dangerous for our bodies. The problem with being obese is mobility, which is where a wheelchair comes in. But a wheelchair makes it very hard to maintain physical activities and general day to day movement. It’s a vicious circle, being in a wheel chair can lead to being obese and being obese can lead to severe mobility issues. It almost feels like life in a wheelchair leads to obesity. But this doesn’t always have to be the case. While mobility will vary from person to person, there’s some activities most people can undertake to reduce the chances of gaining weight in a wheelchair. Here are some tips to staying active while in a wheelchair. Monitor your diet closely. If being in a wheelchair is new to you, chances are you will be less active. Which means you can gain weight quite easily. While the average male consumes 2500 calories per day, while in a wheelchair your body won’t demand this amount. The Eatwell Guide is a handy guide to monitoring what you are eating. Cardiovascular exercises to get your heart pumping and raise a sweat. This can include wheelchair sports such as sprints, rowing machine adapted to a wheelchair, basketball, badminton etc. Simple upper body exercises if you have the capability. These can include punching the air in front of you, mimicking diving into the water, doing arm circles by spinning your arms in circles and chest expansions where you bring your arms out wide and then back into the middle of your chest.